She collected 40 bikes and on Friday, Oct. 28 she was able to donate them to UrbanPromise Camden AfterSchool program. 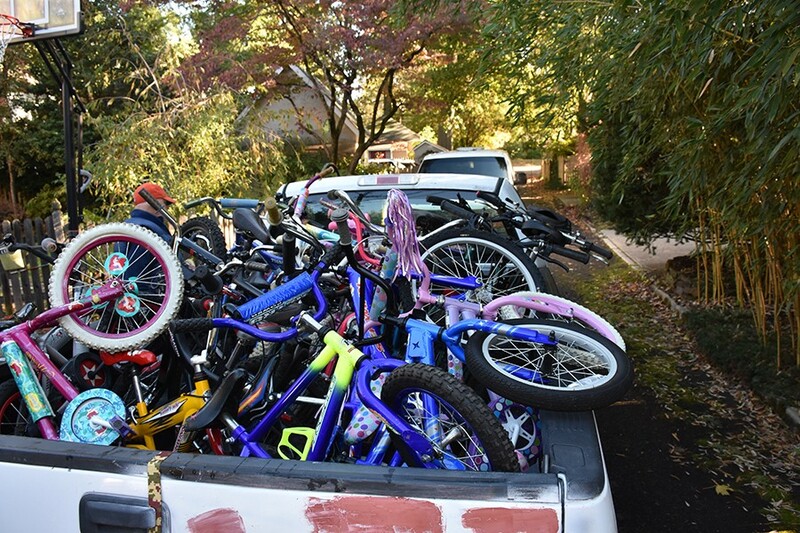 While some high school students spent their summers relaxing and enjoying their time off from their studies, Moorestown High School junior Natalie Muir was hard at work gathering gently-used bikes. She collected 46 bikes over the summer, and on Friday, Oct. 28, she donated them to UrbanPromise Camden AfterSchool program after its Harvest Carnival. Weeks later, after collecting 34 more bicycles than expected through her work, she caught the attention of Charlene Zimmerman, a sixth-grade teacher at Our Lady of Good Counsel. Zimmerman contact Muir’s mother through her Facebook post and requested her daughter come speak to her class regarding her charitable experiences with this community service project, in addition to the Appalachia Service Project, a Christian home repair/home building ministry through which volunteers and staff repair and build homes for low-income families in rural Central Appalachia, that she also participated in this past summer. Although nervous at first, Muir accepted this guest speaking invitation. During her class discussion, Muir highlighted how much one person can do for so many if they put forth ideas and effort. She also explained how she discovered how much the community is willing to assist in these types of projects upon simply being asked. An example of this community support is exemplified through the participation of Erlton Bicycle Shop in Muir’s bicycle project. She reached out to the store asking for help with new tubes, tires, seats and other repairments and was met with overwhelming support. Muir discovered the store’s manager, Rich Tustin, was a longtime supporter of UrbanPromise’s Urban Trekkers Program and was willing to help work on the gently-used bikes and provide the necessary supplies at no cost. This act of kindness was a huge relief to the junior, seeing as she had no fundraising options in place, and bicycle repairs can prove costly. “We didn’t tell him our situation, he just offered to only charge for parts and do the labor for free because he knows how much UrbanPromise does for the community and he wanted to help, because he could. We were unexpectedly surprised at his generosity,” Muir said. This act of kindness resonated deeply with Muir, and she found the entire experience to be extremely rewarding. Seeing her community come together for a great cause instilled within her a heightened sense of awareness, and she is extremely grateful to have been able to bring joy to a group of children and their families.